5 Mango Recipes You Should Try This Summer. . .
Mangoes are certainly the best thing about summers. They are one of the most popular fruits in the world and no wonder. They are sweet, juicy, tangy and most importantly, they are very healthy. Mangoes are packed with vitamin C, vitamin A and fiber. Moreover, mangoes can help with diabetes and high cholesterol as well. The only thing which is quite boring about mangoes is the way we eat them! Mangoes can be eaten in so many easy-to-make and delicious ways instead of that old school mango shakes and ice –creams. 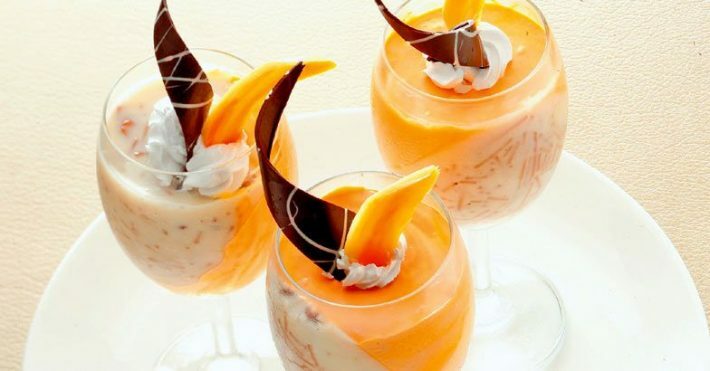 Here are some cool mango recipes for you to try this summer. Ingredients – 2 Alphonso Mangoes, 1 ¼ Cup Lemonade, 3-4 Kiwis (Peeled and Sliced)Instructions – Blend the mangoes in a blender or food processor until pureed. Add the lemonade and blend well. You can either use homemade lemonade or the store-bought lemonade, but the homemade lemonade adds that fresh citrus zing which is loved by everyone. Place the sliced kiwi into the moulds (two slices per mould). The liquid is thick enough that the kiwi slices will not sink to the bottom. Freeze for about 1 ½ hours before inserting popsicle sticks (this is because we don’t want to end up just pushing the kiwi down when we insert the sticks). 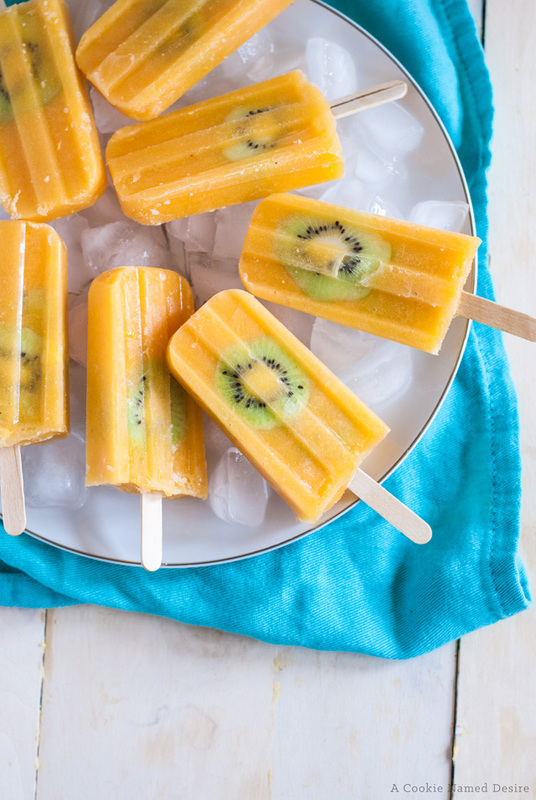 Freeze until solid, about another 3 – 4 hours and enjoy the homemade yummy mango popsicles which are very different from the usual ones. 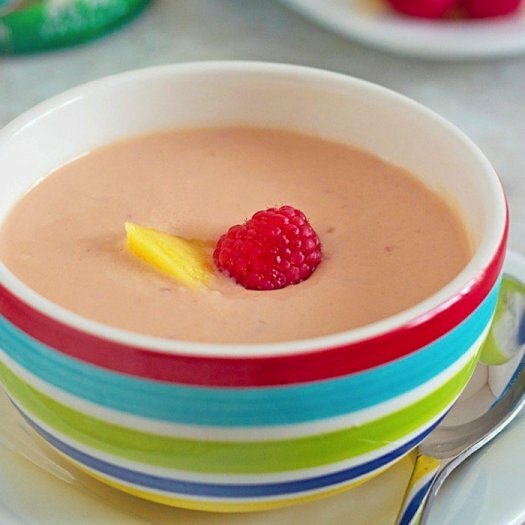 1/2 cup (about 8) fresh or frozen seedless raspberries, 1 cup Greek vanilla or plain non-fat yogurt , 1 liquid cup unsweetened vanilla almond milkInstructions – Place fruit into the bowl of a high speed blender or food processor. If using frozen fruit, pulse on high speed several times to break up any large chunks. Ingredients – Sugar 300 gms, Kesar (saffron) 1gm, Water 250ml, Milk 250 ml, Curd 100gms, Maida (all purpose flour) 200gms, Ghee 500 gmsInstructions – Mix maida & curd one day in advance to create a smooth batter. Melt sugar with water to make syrup, add milk to the solution to remove the blackness of the syrup. Cut a mango slice and keep it aside. Take a utensil and heat it with ghee , dip the mango slices in the batter and fry it. Once fried, soak it in the sugar syrup and take out and serve the mouth-watering mango jalebis. 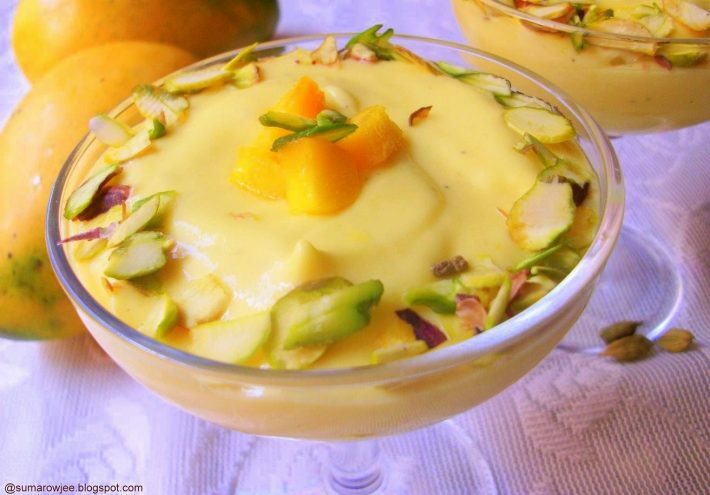 Ingredients – 2 cups hung curd, saffron, 2 tins condensed milk, 300 gms fresh mangoes, ½ cup sugar, cardamom powder, ¼ cup fresh cream, pistachio for garnish(non-salted)Instructions – Mix hung curd, condensed milk and a pinch of saffron. Add chopped mangoes to it. Then add sugar, cream and cardamom powder. Leave to chill in freezer. Garnish chilled shrikhand with chopped pistachios. 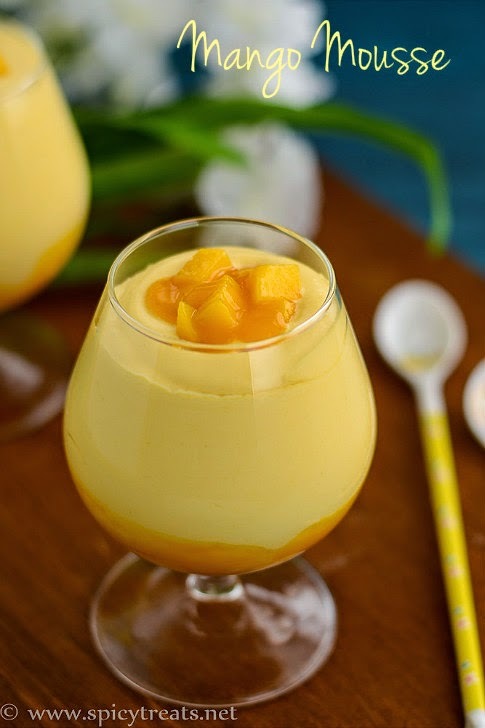 Ingredients – 2 cups mango pulp-sieved, 1 cup cream-chilled, cinnamon powder, 1 Tbsp gelatin, 2 Tbsp lemon juice, 3/4 cup sugar, 1/2 cup water at room temperatureInstructions – Put mango pulp, cinnamon and 1/2 cup sugar into the small pan. Remove from heat, mix in the lemon juice, pour into the individual glasses and leave to cool. Beat the cream and the remaindered sugar till it holds shape. Put the cream in a piping gun or polythene bag and pipe decoratively to cover the mango. Try these yummy mango recipes and do tell us about the one you liked the most in the comments below.